Both mail services should still be active. Email client which supports IMAP/POP/SMTP protocol is installed. The main idea of this method is to setup two email accounts - with old and new mail provider, and then drag-n-drop existing emails to new email server. This guide contains step by step instructions of the process using Thunderbird email client. If you don’t have the email account setup already in your email client, contact your previous email provider for setup instructions. If it is already set, you can skip this step. Now you should setup email account hosted with us (if the email account is not yet created, follow this guide to do so). NOTE 1: in order to be sure that correct server is configured we strongly recommend using hostnames as incoming outgoing servernames instead of mail.yourdomain.com subdomain. 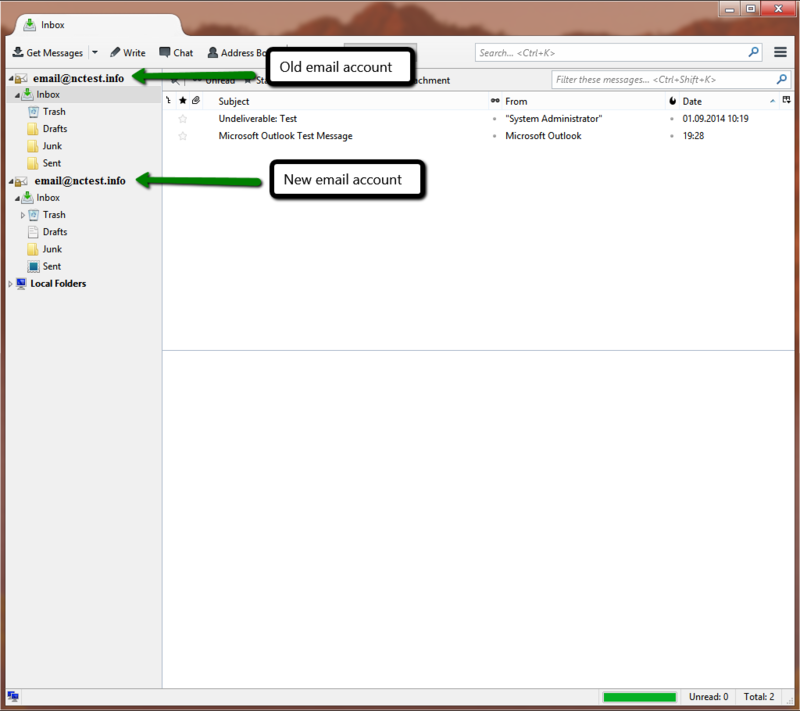 Once both accounts are set you should see them in your email client window. One of them should have all your existing emails (old email account) and the other one should be empty (new email account). No additional actions are required after the emails are dropped to the new folder - Thunderbird will automatically upload emails to new server. 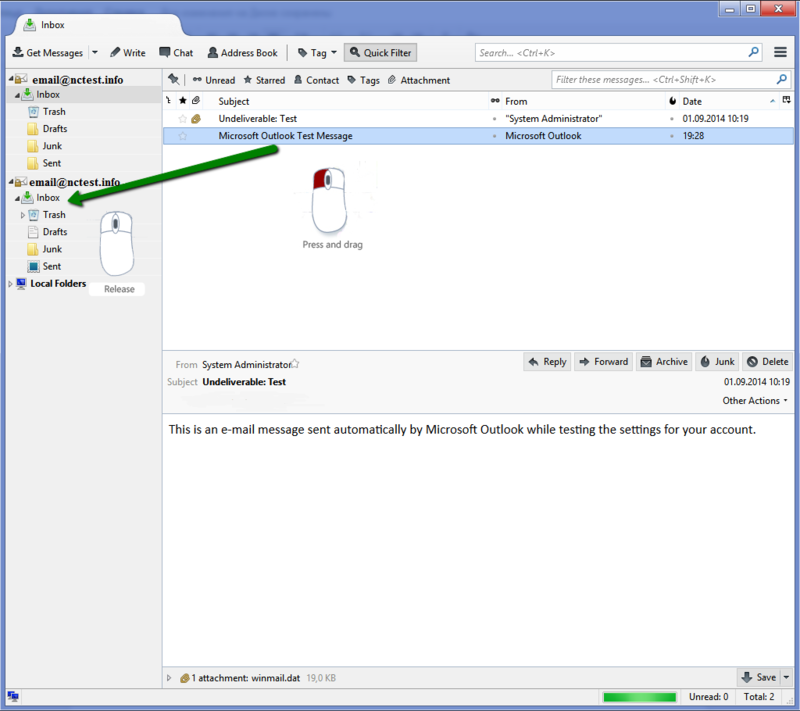 Once progress bar at the bottom right corner is complete email transfer is considered to be finished. You can move single/multiple emails or even subfolders from one server to another at the same time. We also recommend waiting for 24 hours after DNS records are changed to make sure the new emails are coming to new server. When all is good and setup properly, you can go ahead and remove the old account.